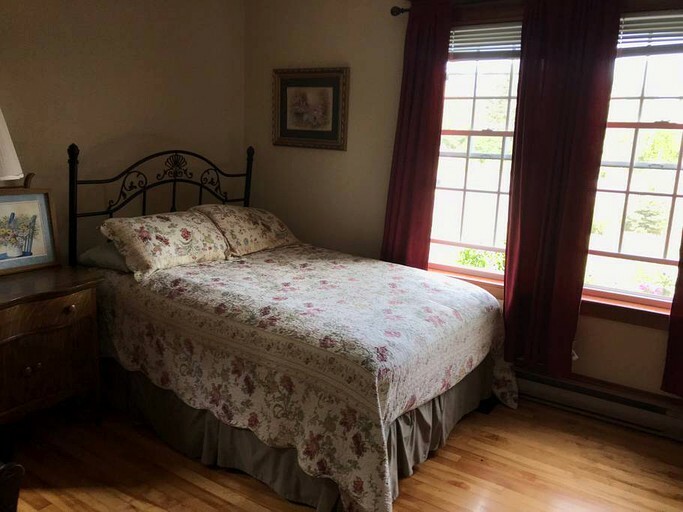 This charming accommodation is located near Seal Cove, New Brunswick, and can accommodate two guests, making it perfect for couples seeking a romantic getaway that combines the comforts of home with the tranquility of the great outdoors. 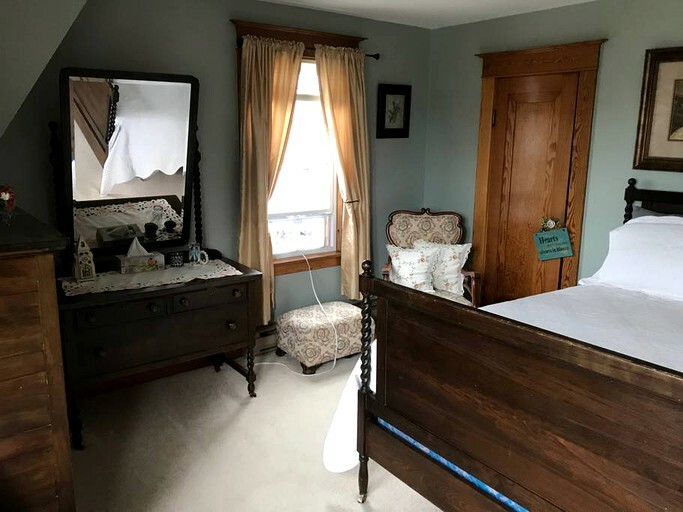 Featuring detailed woodwork and a mixture of birch and maple floors, the bed and breakfast was built by a craftsman in a traditional style in 1948, and it retains a cozy, inviting atmosphere reminiscent of times now past. The accommodation provides guests with one bedroom and shared access to one full bathroom and one-half bathroom. 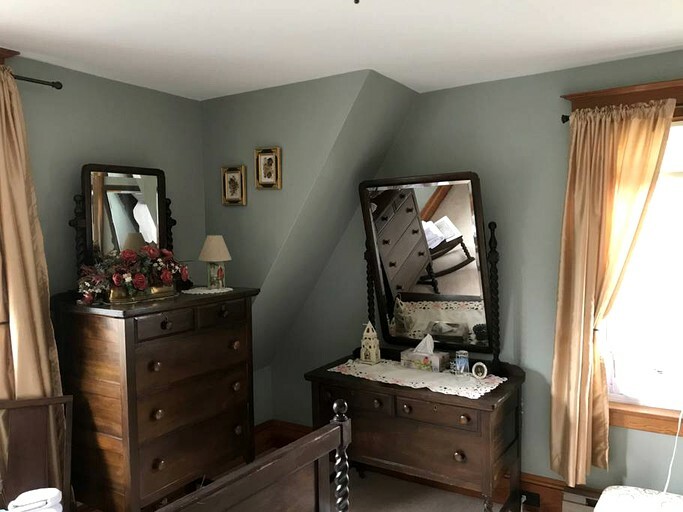 In the bedroom, guests will find a double bed, a chest of drawers, a dresser, and an armchair. 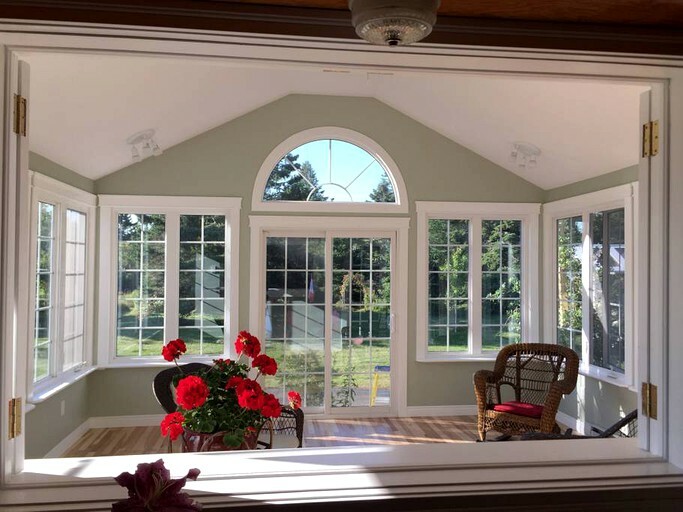 Guests will also enjoy shared access to an upstairs sitting area with a pair of sofa chairs, a sunroom with wall-to-wall windows, a living room with sofas, a television, a piano, and a formal dining room where they will be served a hot homemade breakfast each morning. 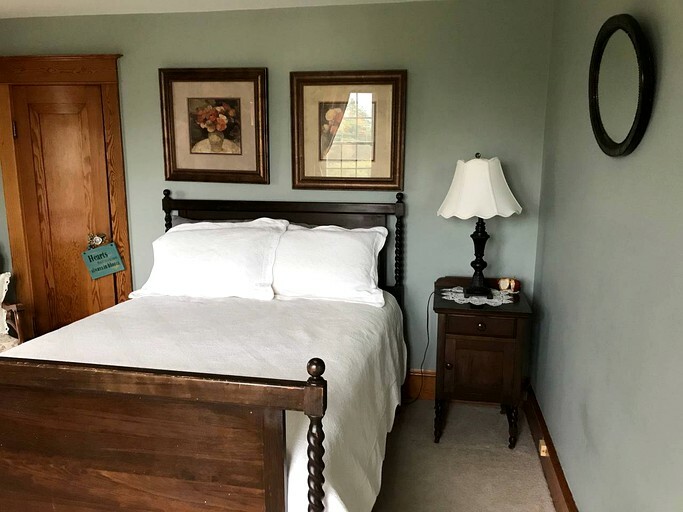 Other amenities of the bed and breakfast include heating, a fireplace, Wi-Fi, cable television, a hairdryer, ironing equipment, and a washer and dryer. Linens and towels are provided. 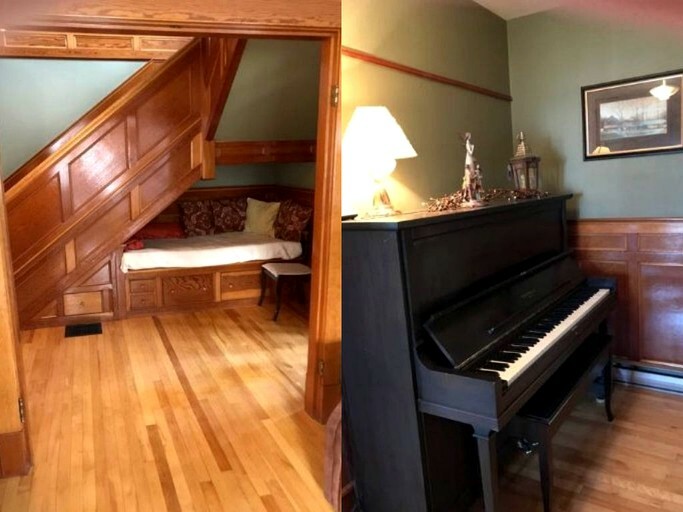 Inside the bed and breakfast, guests will enjoy shared access to an upstairs sitting area with a pair of sofa chairs, a sunroom featuring wall-to-wall windows, a living room with sofas and a piano, and a formal dining room, where they will be served a hot, homemade breakfast each morning. 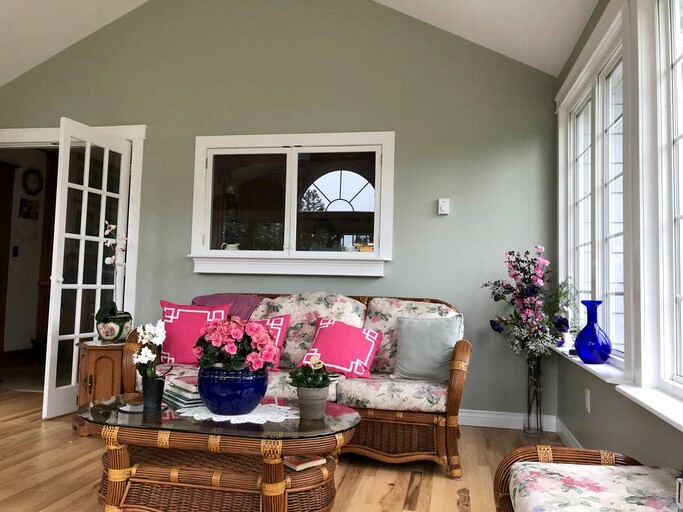 From the sunroom, guests can enjoy views of the colorful gardens and busy bird feeders outside, where a deck with cushioned seating also awaits them. 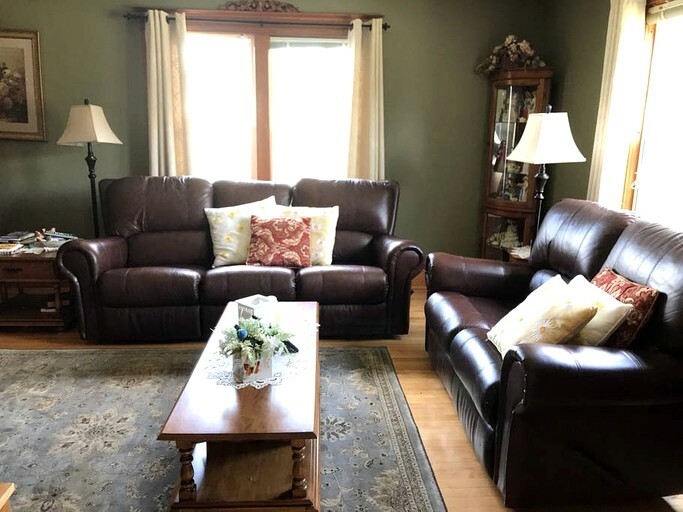 Other facilities and amenities within the accommodation and the bed and breakfast include heating, a fireplace, Wi-Fi, cable television, a hairdryer, ironing equipment, and a washer and dryer. 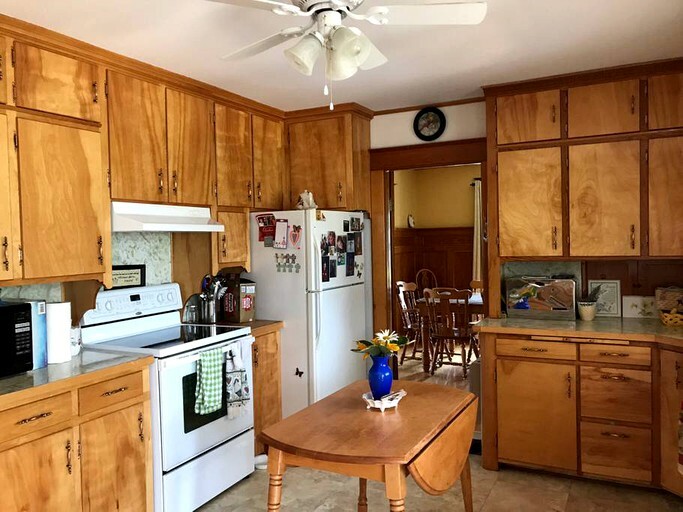 This accommodation is located at a bed and breakfast in the small village of Grand Harbour, which is situated on the eastern coast of Grand Manan Island, New Brunswick. 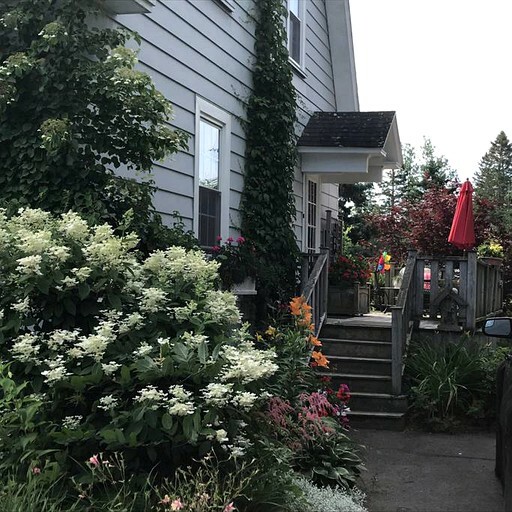 Surrounded by tall conifers and colorful gardens with bird feeders, the bed and breakfast is less than half a kilometer down the road from the shores of the eponymous body of water for which Grand Harbour is named. 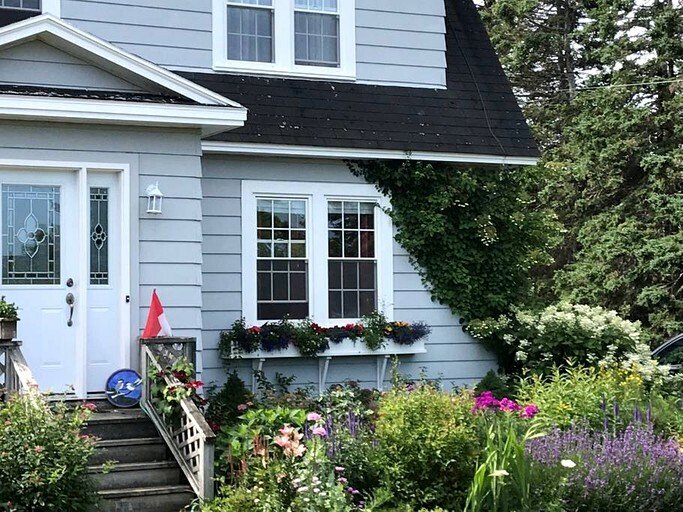 Just a five-minute drive to the south, guests will find Grand Manan Migratory Bird Sanctuary and Anchorage Provincial Park, which border each other. As its name suggests, the sanctuary provides a safe haven for a variety of waterfowl that migrate through or spend the winter in the area. Some of the species that can be found on and around its freshwater ponds include buffleheads, sanderlings, herring gulls, American wigeons, and American black ducks, the latter of which are the most common – with upward of 750 ducks having been spotted inhabiting the site at once. At the neighboring provincial park, in turn, guests will find a network of trails winding through and past beaches, bogs, mixed woodlands, birdwatching blinds, geological formations, boardwalks, sedimentary rock cliffs, a rugged coastline, a lighthouse, and picturesque views of the Bay of Fundy, which offer opportunities to see breaching whales. A variety of whales and other aquatic mammals can be found in the waters surrounding the Fundy Isles and the mouth of the Bay of Fundy, including finbacks, humpbacks, minkes, North Atlantic right whales, white-beaked dolphins, grey seals, and harbor porpoises. 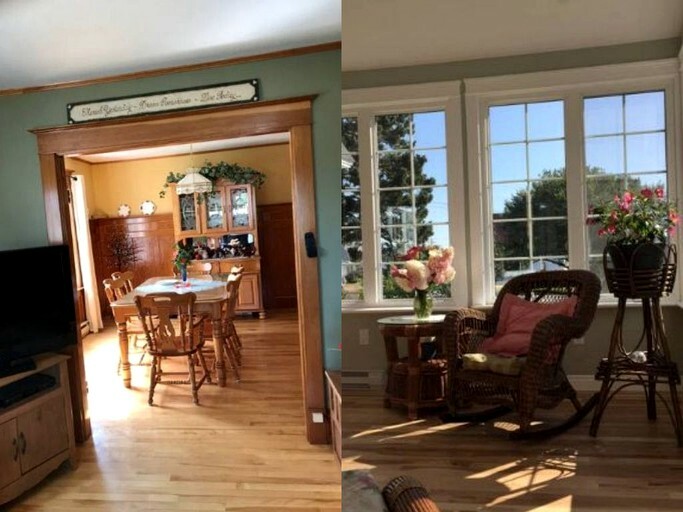 Thanks to their prime location on Grand Manan Island, guests will be able to enjoy a wide variety of activities both on land on water. For hiking and biking, guests will find a network of trails at nearby Anchorage Provincial Park, which also offers opportunities for beachcombing and whale watching. 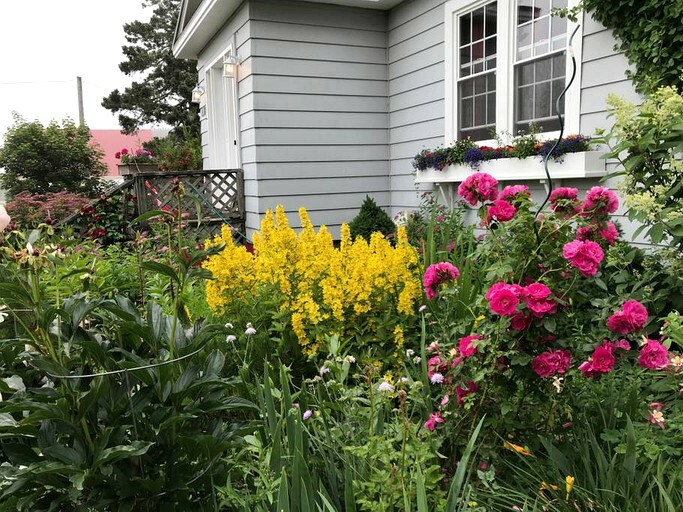 Both the park and the neighboring Grand Manan Migratory Bird Sanctuary provide ample chances to enjoy the birdwatching for which the island is renowned. About 275 species of birds have been sighted on the island, which provides habitats, wintering grounds, and migratory spots for land birds, shorebirds, and seabirds alike. 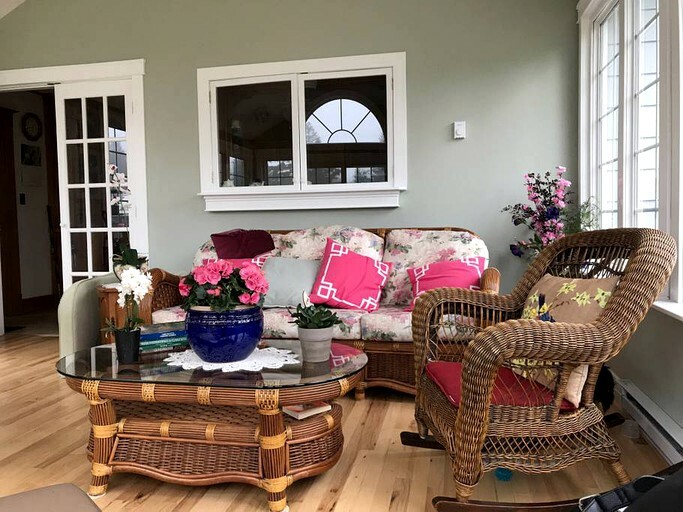 On the Bay of Fundy, guests can go kayaking on guided tours with Adventure High Inc. Whale watching tours are available through Sea Watch Tours, which also offers opportunities to see seals, puffins, and seabirds. Guests interested in fishing can catch a variety of fish in the bay, such as mackerel and herring. 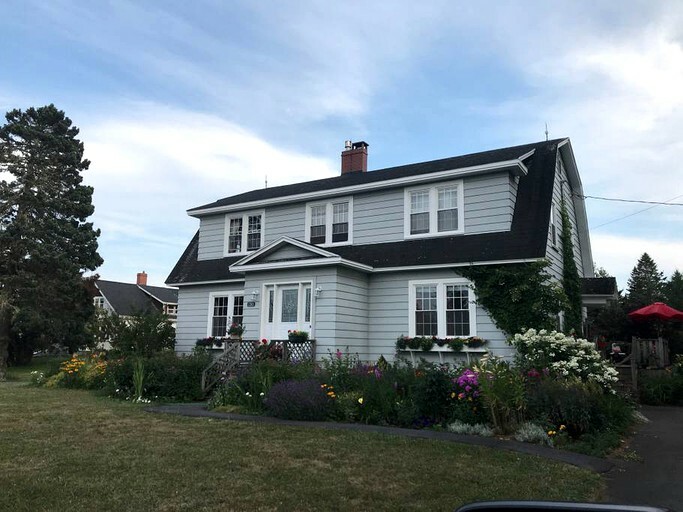 Last but not least, guests hankering for art or wanting to learn about the history of the island can visit the Grand Manan Art Gallery and the Grand Manan Museum. For dining, guests can head down the road to Newton's Mercantile and Cafe. For shopping, they can browse for pottery at Marina Vern Collectibles, which is right by the cafe and the museum. Small pets may be permitted with an additional fee. 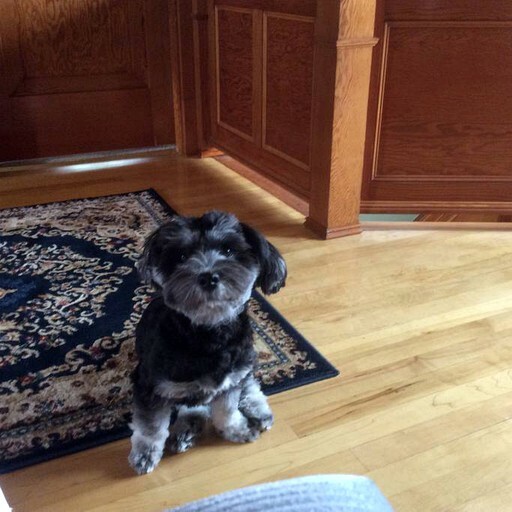 Guests should inquire with the hosts prior to arrival if they wish to bring a pet along with them. One small dog also lives on the property.